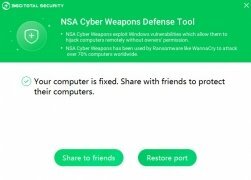 Thanks to the infamous WannCry, everyone including your grandma knows what ransomware is all about, that malware capable of kidnapping the files on your computer to ask for ransom money to be paid in Bitcoins to be able to get them back. Well, if you kept up with the information about the massive infection caused by this virus, you'll know that it was developed based on cyberweapons that were disclosed in an NSA leak some time ago. Back then the US security agency warned about the fact that all this info could be used by cybercriminals, so this might well be the first chapter in a series that could have plenty more episodes. So, what can you do to protect your computer? 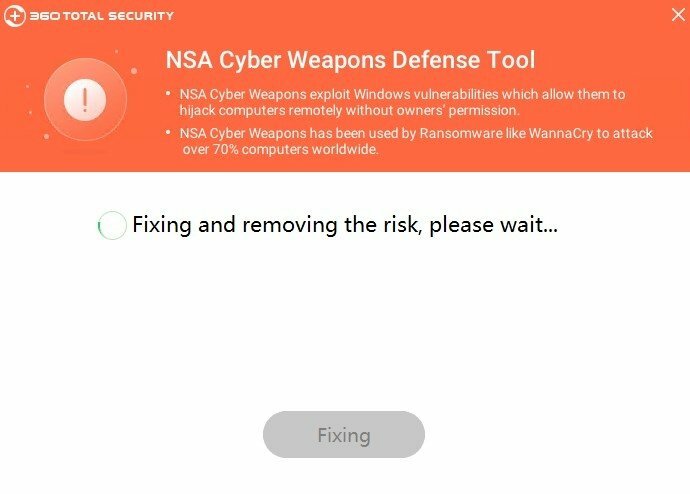 Easy: download antivirus protection such as the tool offered by 360 Total Security, specifically designed to protect you from the NSA's malware. It goes by the name of 360 NSA Cyber Weapons Defense Tool. Anticipate to hackers and cybercriminals: protect yourself from possible attacks. 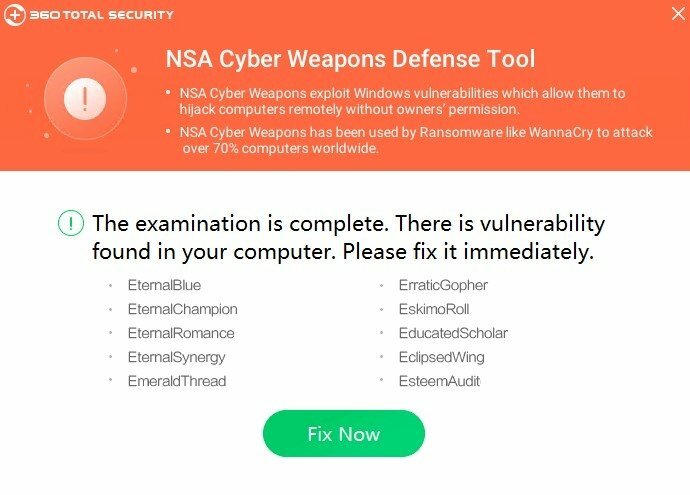 This software has been developed analyzing the cyberweapons leaked from this security agency. Therefore, it's ready to detect the behavior of possible future variations. So it protects your PC by detecting possible vulnerabilities that may be exploited in Windows and warns the user about measures to be taken. One of the advantages of this pack of security tools is that it has been designed to work without an Internet connection so that you can patch weaknesses on your system without putting it at risk by going online.